Last week I facilitated a discussion on “Creating a data sharing culture” at the Chief Analytics Officer forum, in Johannesburg. Data sharing is increasingly important as companies seek to achieve enterprise goals such as advanced analytics (the focus on last weeks event) and master data management. The simple question, “Are you a data producer or a data consumer?” reveals the start divide between those that want (or need) access to more data and those that are then impacted by this need. Our analytics audience largely categorise themselves as consumers. Therein lies the basic challenge of driving a data sharing culture.Frequently, data sharing is driven purely from the perspective of the consumer. An extreme perspective may be illustrated as “I am the Chief Analytics Officer. I won all data. We need it by next week.” This kind of announcement may be followed by the expectation that the technical teams will meet to define the technical details. Yet, this approach will often meet resistance. 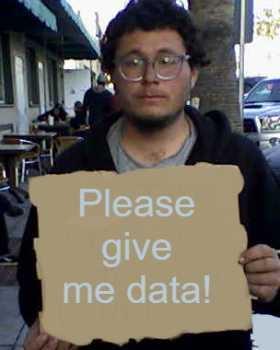 Data producers (operations staff and their IT support) have a range of reasons for rejecting this kind of request. They may cite privacy or legal concerns, cite technical constraints, or simply delay on the basis of other priorities. Or they may, with the best of intentions, deliver the data they thought was required, only to find that they have misinterpreted or misunderstood the requirement. This can cause significant frustration as it creates rework and wastes time for both the consumer and the producer. Whilst technical constraints may hinder data sharing the real challenges are political. Producers need to prioritise the needs (data feeds) of consumers against other IT priorities. They also need to ensure that their legal obligations with respect to the data will be respected by the consuming party. Data governance has an important role to play here. Data governance ensures that data usage policies are defined and agreed. Consumers are bound to producers contracts and, in turn, understand how shared data may be reused and shared with downstream consumers. These policies may be based on internal contracts or ethical approaches, or may interpret legislation such as the Protection of Personal Information bill. Formalising data sharing can also help us to understand what data is available from external providers – such as credit bereaus – and may save companies millions in duplicated or unnecessary data spend. Shared data is critical to achieving business goals such as advanced analytics or customer experience management. We need to stop treating this as a technical problem if we want to achieve these goals. Otherwise we may as well resort to begging. ← What are the most critical skills for a data scientist?